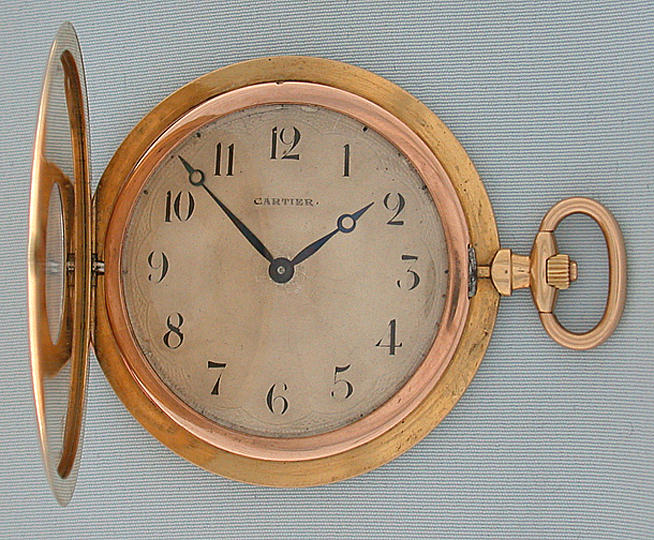 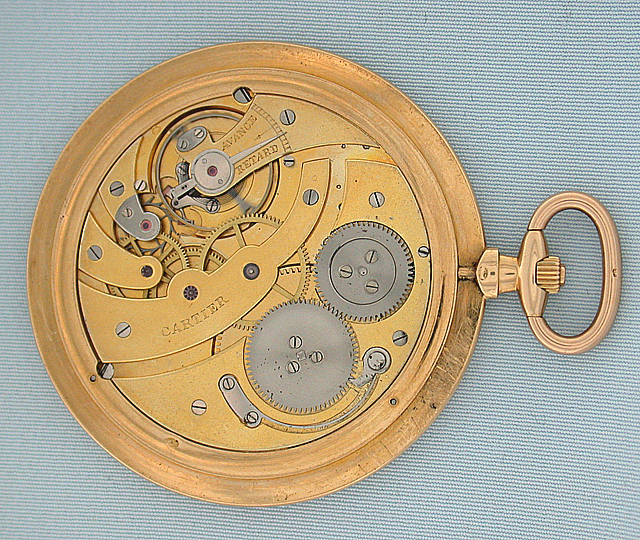 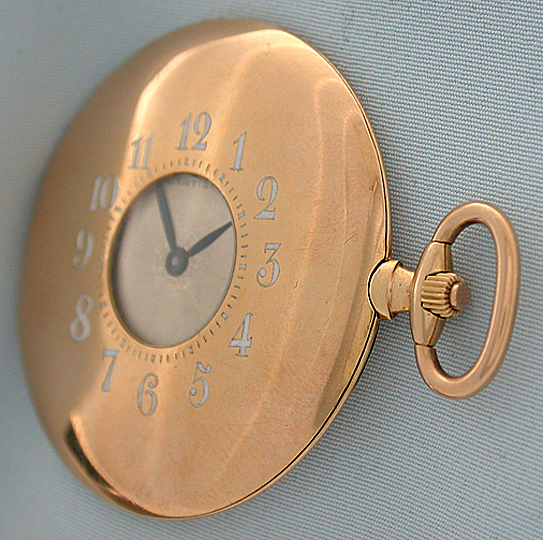 Fine Cartier ultra thin and elegant 18K gold and enamel demi hunter antique pocket watch with original box circa 1910. 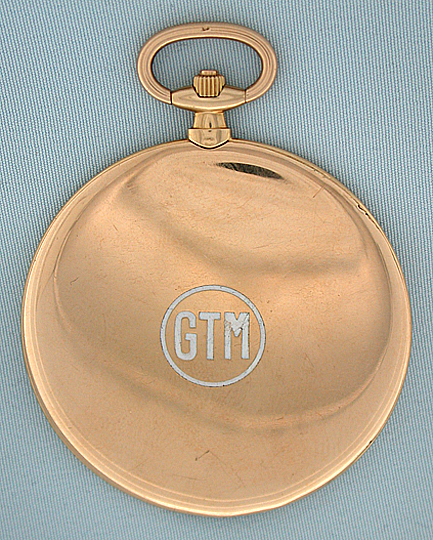 Knife edge case with white enamel numbers on the cover and monogram on the back. 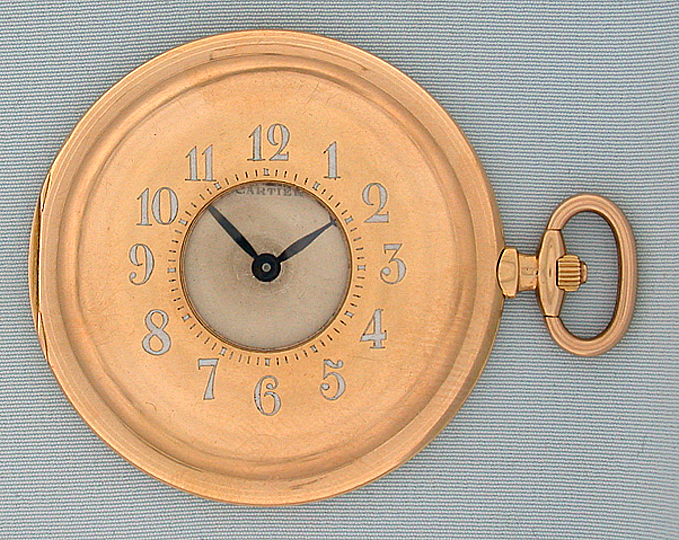 Original attractively aged engine turned dial with blued steel Breguet hands. 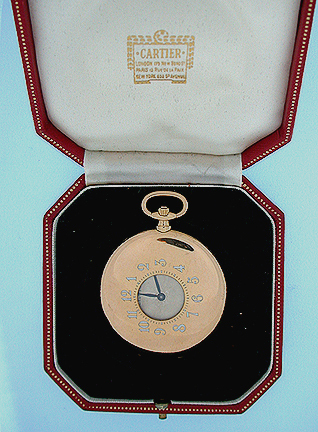 First quality 18 jewel movement.